Turnberry Rooms are large, luxurious rooms with beautiful hardwood floors at the entrance and plush carpeting throughout, featuring contemporary furnishings in soft neutral tones of almond and beige, with splashes of color for subtle contrast and rich texture. An elegant marble bathroom offers a separate bathtub and glass shower stall with a rainfall showerhead, flat screen TV and a third dual-lined telephone. Standard luxury amenities include a flat screen TV with web TV, iHome clock radio, Keurig premium coffee system and telephone. A semi-private balcony offers splendid views of the resort grounds. Approximately 500-525 square feet. The One Bedroom Suite combines luxurious accommodations with a separate living room and bedroom, featuring contemporary furnishings of soft neutral tones of almond and beige, with splashes of color for subtle contrast and rich texture throughout. A sofa (which may convert to a full-size sofa bed), along with side chairs, complete the living room- ideal for entertaining guests. A balcony from the living room offers superior views of the golf courses and also has a double door leading to the bedroom, which contains one king-size bed and a living room. Standard luxury amenities include flat screen TVs with web TV, iHome clock radio, Keurig premium coffee system and pillow-top mattress. An elegant marble bathroom offers a separate glass shower stall with rainfall showerhead, flat screen TV and a third dual-lined telephone. 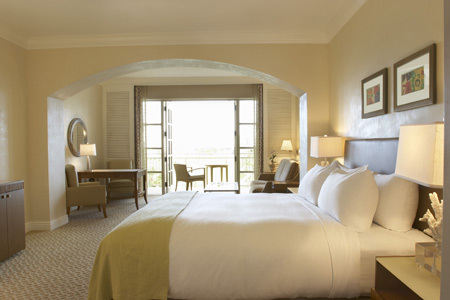 The private balcony allows guests to enjoy the beautiful golf views. Approximately 1000 - 1100 square feet. The Tower Suite is an oversized room that combines state-of-the-art products and technology with a mid-century Florida design. Located in the Orchid wing, the Tower Suite offers an impressive foyer entrance and custom carpeting throughout. The spacious living area offers ample seating with a sofa, side chairs and a stereo system. An oversized bedroom area features a king bed with a pillow-top mattress, sitting area and sliding glass doors that lead to a balcony overlooking the championship golf courses. A separate dressing area contains a vanity, full-length mirrors and his and her closets. The master bathroom offers a whirlpool tub, separate shower area, TV and a dual-lined telephone. This suite allows guests to enjoy the comforts of home while enjoying the resort experience with standard luxury amenities such as flat screen television with web TV, iHome clock radio and a Keurig premium coffee system. Approximately 1600 square feet. TURNBERRY ISLE MIAMI is a 300-acre tropical playground in Aventura, Florida – a short drive from MIAMI BEACH and Fort Lauderdale. 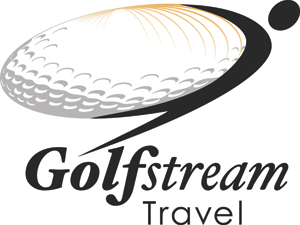 Since welcoming our very first guests nearly a half century ago, our majestic resort has become a cherished vacation destination and one of the best golf resorts in Florida, with a marvelous array of fun things to do for guests of all ages. Turn the kids loose and let them discover Turnberry Isle for themselves. Our Kids' Connection Club, a supervised children's program, offers resort-style fun for children ages 4 to 12. In addition to four clay HydroCourts, the Turnberry Isle Miami Tennis Center offers lessons, clinics, social and competitive programs and events designed for a variety of ages and skill levels. Overlooking the Atlantic Ocean, the Turnberry Isle Beach Club is reserved exclusively for Resort Guests and Club Members. Relax, renew and revitalize in the Spa & Fitness Center, which has been awarded four stars by Forbes Travel Guide. Located on the Intracoastal Waterway, the Turnberry Marina is a world-class facility for boats and yachts of up to 150 feet. Browse the Turnberry Resort Shops or enjoy our complimentary shuttle service to world-class shopping at nearby Aventura Mall. The only one of its kind in South Florida, the Laguna Pool features a 180-foot long, 35-foot high waterslide that gently winds around into a splash pool supervised by a water safety attendant, an 800-linear-foot lazy river with single and double inner-tubes, a separate hot tub and toddler wading pool. Additional features include furnished private cabanas and the LAGUNA GRILLE which serves up tropical island fare. A scenic 2.9-mile jogging trail circles the resort and its Raymond Floyd-redesigned golf courses, providing a great workout with picturesque views of lush tropical landscaping, palm trees, lakes and the Resort’s architecture throughout. Before hitting the trail, guests can find a jogging station equipped with a map, refreshments and a towel next to the bell stand. Stop by our chef’s garden nearby our Laguna Pool to enjoy a complimentary guided tasting tour each day at 4 p.m.
A contemporary American steak house, BOURBON STEAK offers guests the chance to sample Mina’s signature modern fare in a vivid venue, imagined by longtime collaborator, Tony Chi. The striking dining room with chic mirrored walls and a “glass box” private room, places culinary emphasis on the finest meats and freshest seafood, butter poached over a wood burning grill. Enjoy your pick of over 1,000 wines from BOURBON STEAK’s wine cellar, relax with a premium cigar from the extensive cigar menu in the lounge and sample dishes from the BOURBON STEAK menu. Open daily for dinner. Sunday – Thursday from 6 to 10 p.m.; Friday - Saturday from 6 to 11 p.m.
Popular Bar Burgers menu available at the chic bar and lounge area. 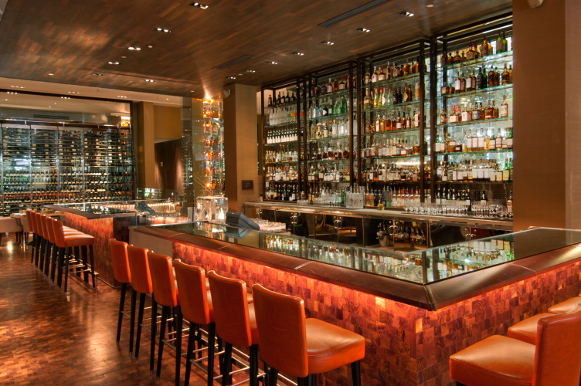 Enjoy complimentary valet parking when you dine at the restaurant. Cascata Grill features classic Mediterranean-inspired cuisine twisted with island influences, courtesy of Executive Chef, John Sexton. The enticing selection of small and large plates fuse fresh ingredients from Turnberry Isle Miami’s on-site Chef’s Garden. The restaurant’s casual décor overlooks a scenic outdoor terrace for al fresco dining, providing an ideal place for guests to enjoy picturesque views of the diverse tropical vegetation and the resort’s acclaimed MILLER GOLF COURSE. Open daily from 11 a.m. to 10 p.m. for lunch and dinner. After working up an appetite on our waterslide and lazy river, head to The Laguna Grill for fast and fresh eats. Choose from a selection of delicious salads, sandwiches and burgers, and cool off with one of our specialty frozen cocktails. Kids will enjoy their pick of items perfect for tiny tummies. Open daily from 11 a.m. to 6 p.m. for resort guests and club members. Everything tastes better on the beach. Choose from a delicious menu of sandwiches, wraps and fresh salads. Open daily from 11 a.m. to 6 p.m. for HOTEL guests and CLUB members. Complimentary daily shuttle service to the Beach Club available. The unofficial social hub of Turnberry Isle Miami, the elegant, yet comfortable Lobby Lounge offers a selection of exotic cocktails and a creative menu of mini-bites. Stop by for a signature Turnberry Mojito and engage in a discussion with one of our friendly servers surrounding the resort’s infamous origins on a cocktail napkin. You might even run into our founder, Donald Soffer – the legendary real estate developer who later turned his 1967 napkin sketch of Turnberry Isle into a reality. Situated just minutes from North Miami Beach and South Beach, Turnberry Isle Resort & Club covers 300 tropical acres that offer a variety of activities. The unique Mediterranean-inspired architecture is a stunning complement to the natural beauty of south Florida. The lush landscape provides the ideal setting for the two 18-hole championship golf courses at the resort. 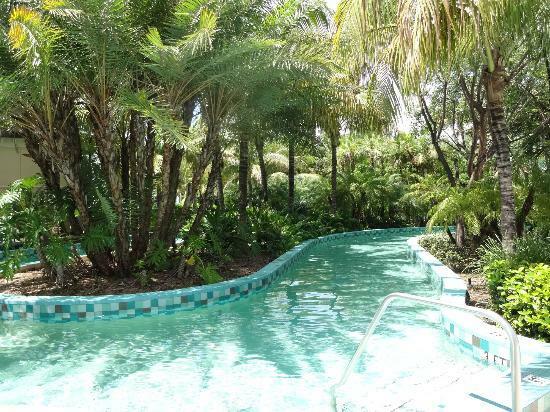 There are also four clay tennis courts and three pools, one of which is a lagoon-style pool with a waterslide and lazy river. A private marina at the resort allows for fishing and boating expeditions, as well as a chance to see the yachts come sailing in each day. A scenic 3-mile jogging path also circles the resort. The Willow Stream Spa offers an array of luxurious treatments and a fully equipped fitness center. 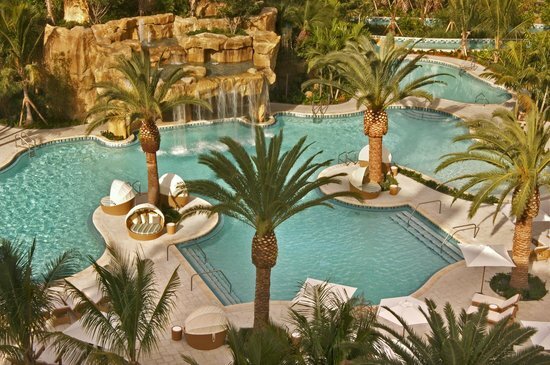 A part of the Marriott Autograph Collection, the resort even features some of south Florida's best dining right on site with four unique restaurants.